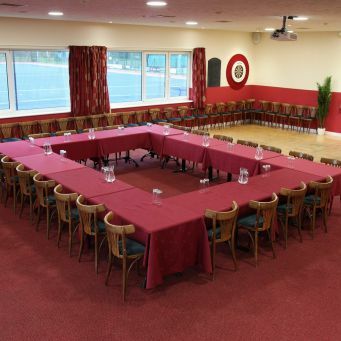 Taunton Vale offer two conference rooms that are available to hire all year round, our facility boasts plenty of free car parking, wheelchair friendly easy access, wireless internet service, tranquil and attractive surroundings and airy rooms with natural light. 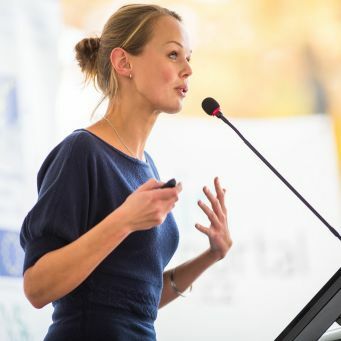 When booking your room, you have the option to book refreshments and lunch from the extensive conference menu starting from as little as £4.00 + vat per person, which will be delivered at a time specified by yourselves. 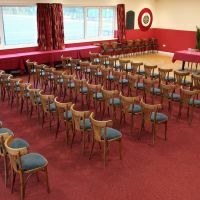 The Quantock room is large open space (12.8m x 19.4m) with a large 3 metre screen with overhead projector available for your use free of charge, with ample room for different layouts the Quantock room is our most versatile and spacious room that can cater for any conference. Available to use with this room free of charge is our projector and screen, flip charts with paper and pens, Wi-Fi, extension leads and wall mounted TV. 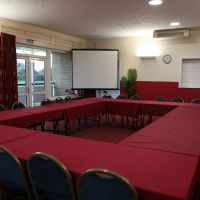 The Blackdown room is our smaller conference facility (7.3m x 9.2m) ideal for a more intimate meeting, with a portable projector screen it can be set up in any layout to match your requirements. 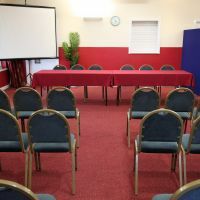 Available to use with this room free of charge is our projector screen, flip charts with paper and pens, Wi-Fi, extension leads and wall mounted TV. 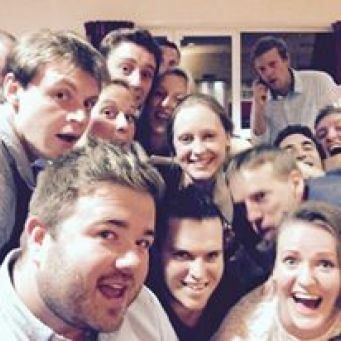 We offer our premises for any type of celebration and can hold up to 150 people: Birthday Parties, Wedding Receptions and Christenings. 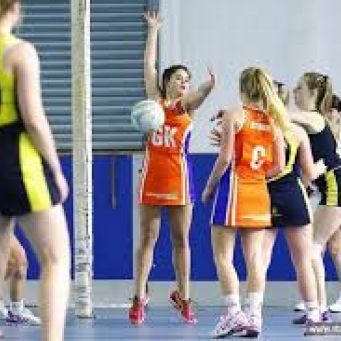 We have a fully licenced bar and provide adequate staffing relative to size of booking, our hire fee is ONLY £100.00 inclusive of vat. 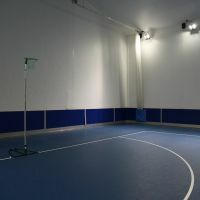 We have a dance floor in our main function room which can cater for discos or live music as well as a surround sound system that you can plug your iPod or laptop into to play your own playlists. 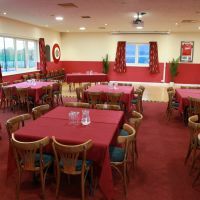 We also have an extensive buffet menu starting from £5.50 per head with flexibility on our food range to make sure we are catering for our needs. 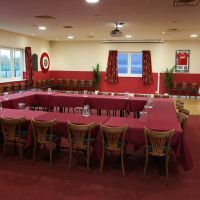 We can also offer bespoke events here which incorporate using the sporting facilities along with the two main function rooms to help host your event. 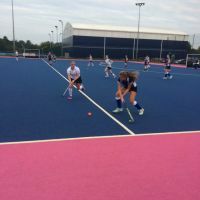 We have a full size hockey astroturf pitch is available to hire during the day Monday to Friday and Sundays at a cost of £55.50 per hour for more information please contact 01823 252225. 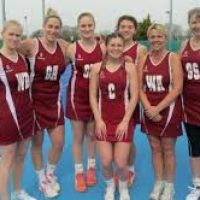 If you are interested in joining one of the netball teams who play at Taunton vale please follow the links below. 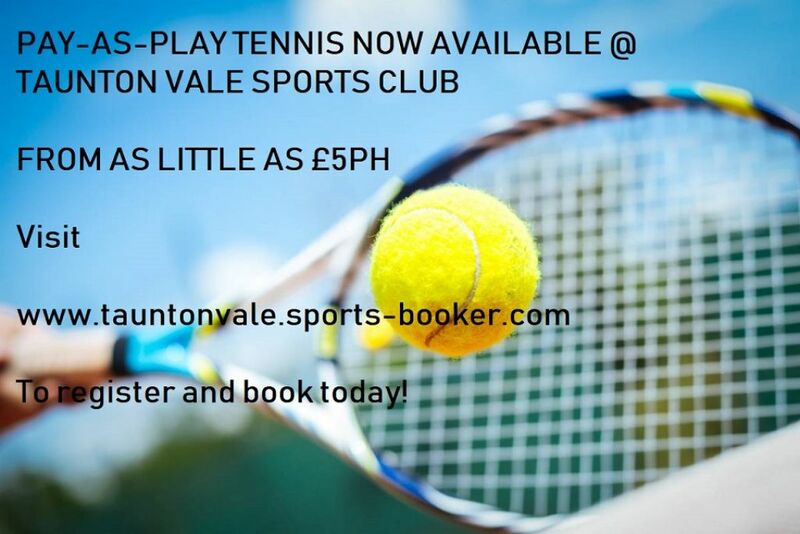 We have four outdoor tennis courts available to hire 7 days a week at a cost of £11.00 per hour per court plus £3.00 per hour per court for floodlights, for more information on availaility please call 01823 252225. 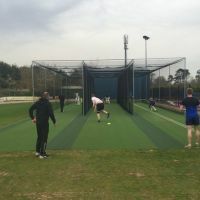 We have two cricket pitches available to hire at £125.00 per pitch including one all weather wicket as well as brand new ourdoor nets available to hire at £10 per lane per hour, for more information on booking please call 01823 252225. 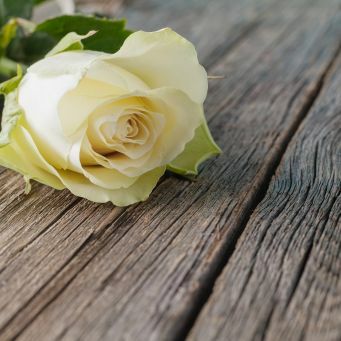 PLEASE NOTE - all bookings are subject to availability and upon confirming your booking you are agreeing to our booking T&C's, including our late cancellation policy. 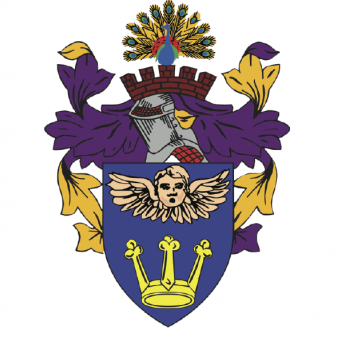 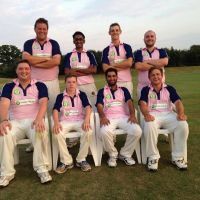 Keep up to date with the latest news at Taunton Vale. 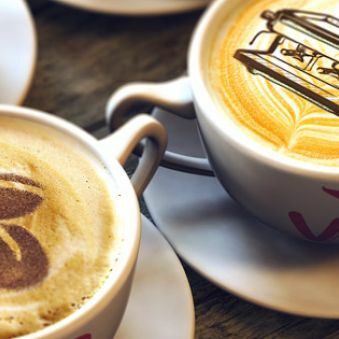 ​We are now serving 'drink-in' and 'take-out' ​Barista Style ​coffee from our bar! 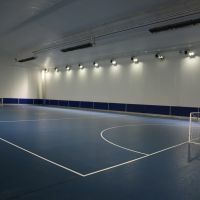 The Venue For Sports, Conferences & Social Events. 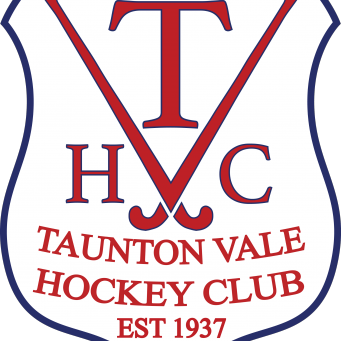 In 1974 with the union of Taunton Vale Hockey Club and Taunton Cricket Club, Taunton Vale Sports Club was born. 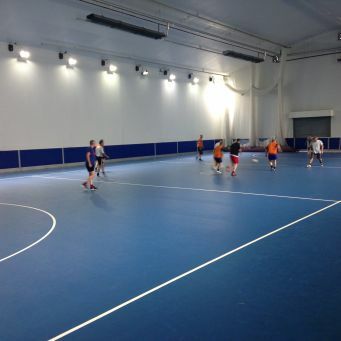 The new location in Gipsy Lane, Staplegrove, Taunton was opened in 2001. 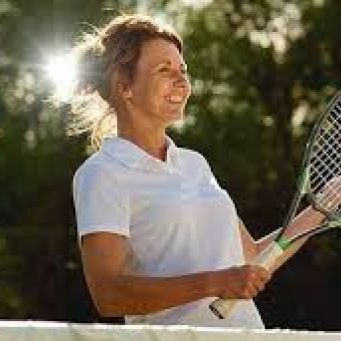 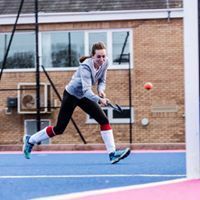 We have thriving members sections for Hockey, Cricket and Tennis, the club also offers non-members the chance to use the facilities either as a one-off booking or on a regular weekly basis. 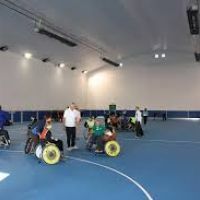 The facilities have grown to offer a first class venue for conferences, parties, events and sports for businesses, schools, local groups and societies. 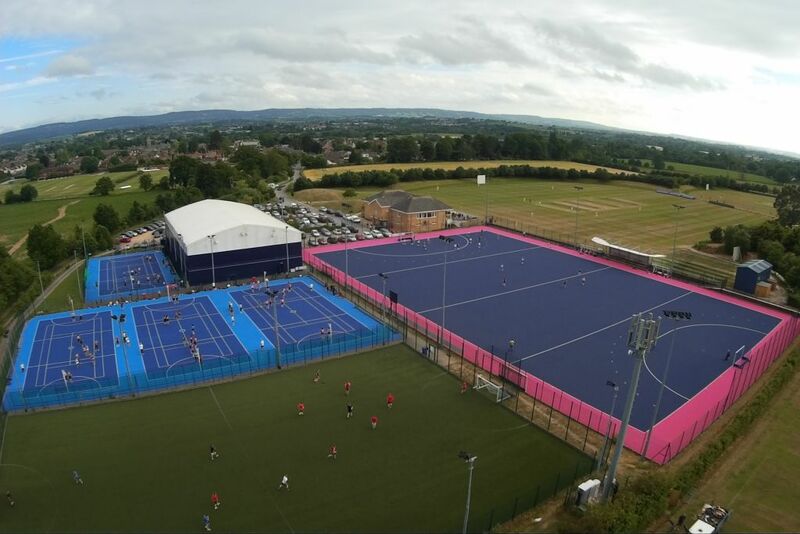 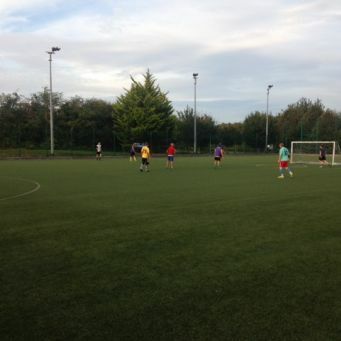 Taunton Vale Sports Club offer a full size Astroturf hockey pitch, a ¾ size 3G football pitch, 4 outdoor Netball / Tennis courts, 3 brand new outdoor Astroturf cricket nets, and an indoor sports hall offering sports such as Netball, Five-A- Side football and Indoor Cricket. 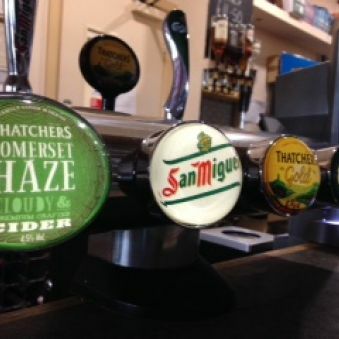 We also have a fully licenced bar which is open to the general public Monday –Thursday 6pm-10pm and showing all the sporting events from Sky Sports and BT Sport. 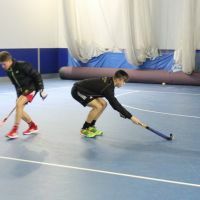 The Sports hall user groups include Somerset Activity Sports Partnership, Somerset FA offering Junior Football Training, two local Netball Clubs, as well as a number of local soccer clubs and schools. 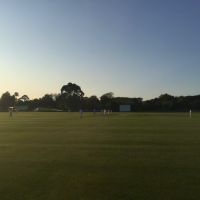 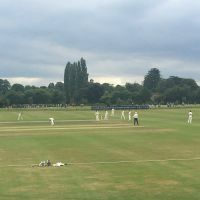 In addition Taunton Vale Sports Club plays host to a number of Somerset County Cricket Club fixtures and during the summer months various County matches are played on the excellent cricket fields. 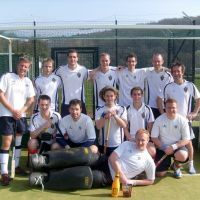 Please enter your email address to subscribe to our mailing list and stay up to date with the latest club information.